Though they may not seem very glamorous, personalized coasters can be both cute and practical! Give each guest at least two coasters with your names on them (it’s a set! ), and tie them together with a ribbon that matches your décor. For a favour that is both useful and theme-appropriate, a personalized playing card deck is a memorable gift for a wedding with a Gatsby, Vegas or Black and White theme. Imprint your names on the cards case, or splash your picture on the front face of the cards. Social sippers, avid wine drinkers and beer connoisseurs alike will appreciate wine and bottle stopper favours. These crowd-pleasing wedding favours can be incorporated into a Parisian wedding theme, or offered at any wedding held at a winery or brewery. A picture frame favour serves a double purpose: a classic gift that your guests are sure to use, and a creative place card for your tables. It requires minimal time and artistic ability, but it has an optimal effect. A metallic frame is a match for any wedding theme decor. For those vintage, “sugary sweet” weddings, a gumball machine filled with your favourite gumball flavours is the perfect wedding favour. It’s a great novelty item with a long shelf life, and let’s face it… who doesn’t love candy? Give your guests a quantity of something special – like tea leaves, coffee grinds, sand, whatever floats your boat – but make sure to buy favour boxes to hold it all together. From mini purses to Chinese take-out, you can find a creative box to match any theme. If your wedding is more lavish than laid-back, a tealight holder is a sophisticated and decorative favour. Vibrant glass tealight holders are fit for an afternoon wedding, and crystal or frosted glass tealight holders work for an elegant evening affair. Mini watering cans are the perfect wedding favours for a rustic or eco-friendly theme. Customize the cans with a bow that matches your colours, and a hanging label (or sticker) with your names on it. Add an in-theme wedding flower for a classic touch! Feeling inspired? 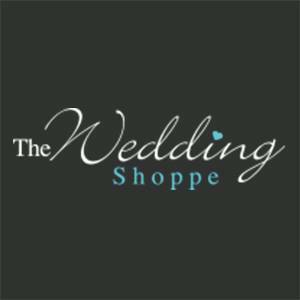 The good news is that you don’t have to search all over town for these favours – the Wedding Shoppe offers them all in-house! Check out our extensive selection of last minute favours, available for nation-wide delivery or in-store pick-up! Did you experience a similar panic in the weeks leading up to your wedding? Let us know your last minute wedding favour ideas below!